Well, it only took four years but I finally finished that short story I’d originally written (under the title Alone Together) for the Machine of Death contest anthology. Truth be told, the story was done long ago; I wouldn’t have been able to submit it to the contest otherwise. The problem was, once the contest was over and mine (amid thousands of submissions) was not one of the (couple dozen) pieces selected, I just let it…. sit on my computer for a while. And sit. And sit some more. Oh, I’d revised it back then into a (slightly) new story, I just hadn’t done anything practical with it. Until a few days ago. I was sorting through some of my older writing projects, trying to decide what I was still interested in working on, what needed to stew for a while longer, and what needed to be killed with fire. And since this story was complete, and I had permission to publish it on my own, I thought, why not publish it? So after a few more revisions and deciding what to do for cover art, I now have a new short story published. Years ago, the Machines were built that could predict, with absolute accuracy, how you would die. But the predictions were always vague and twisted the language around; they were nearly impossible to interpret. Like so many others, Sandra believed that the Machines were only a new fad, yet another one of humanity’s more morbid entertainments. She made a game of coming up with as bizarre of interpretations as she could for these predictions, believing it might be a fun mental exercise until the fad had run its course. Until one day, when her interpretations turned out to be right. Now she’s locked in a government bunker somewhere, without any news of the outside world but what her captors give her, and she is forced to interpret the death predictions that they bring her. Can her interpretations help avert a catastrophe, or is it simply too little too late? The cover art is a simple photo, with a not-so-simple set up to get the intended look. 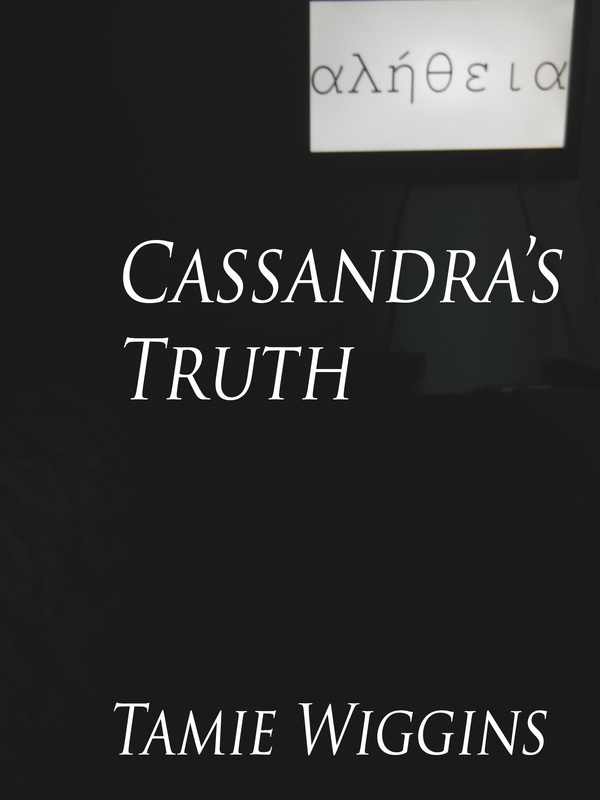 I found the Greek symbols for the word “truth” and set up an image to display them on my screen, closed the door and curtains and turned off the light…. basically the only light source is coming from my monitor, so you might catch glimpses of vague shapes surrounding my computer but little else. This entry was posted in Published Work and tagged Amazon Kindle, Amazon.com, dinosaur comics, E-book, machine of death, ryan north, Short Stories, smashwords. Bookmark the permalink.